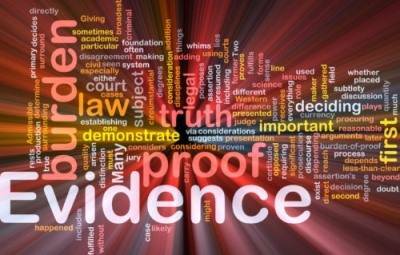 Search Evidence and Alibi Check With the Help of ISOG Private Investigator and Private Detective. ISOG private investigators and private detectives master the most modern techniques of interrogation and interviewing and are expert in checking evidence and finding new evidence that courts can consider as proof. Sometimes lawyers fell stuck in a case and indeed they would need to locate a witness or find new evidence to confute the thesis of the prosecutors. They might find people involved in the case who have been discharged mistakenly and thus wish to check their alibi, because maybe they are the real culprit of a crime for which their client has been charged. It happens many times that the prosecutors and the police authorities are convinced that they have found the culprit of the crime they are investigating. However, it may well be that they are wrong and that they attitude in the course of the investigation leads to the arrest and prosecution of the wrong subject. What is worse is that the real culprit would stay at large, free to commit other similar or different crimes. ISOG private investigators and private detectives have investigated many cases where the person arrested was completely innocent. Even worse many of these people were sentenced to life imprisonment for homicide, where they were actually innocent. In such cases, ISOG private investigators and private detectives have investigated and collected evidence then used by courts of revision to reopen the cases. It has also happened several times, that once ISOG private investigators and private detectives have filed the evidence apt to demonstrate the innocence of the arrested person, the judges ordered the prosecutors and the police authorities to check the evidence ISOG had filed. Whenever a lawyer needs to locate a witness and take his/her statement, check the alibi of those involved in the case or find evidence and counterevidence, ISOG private investigators and private detectives can help them in the process of search evidence and alibi check.